How Much Is Bogusky Worth to MDC? MDC’s CEO says Crispin Porter +Bogusky is worth less to his company than analysts would have us believe. Is Crispin Porter + Bogusky a small source of profit for MDC, or a large one? After reading my article from yesterday (Why MDC Will Never Love an Ad Man Like It Loved Alex Bogusky), MDC CEO Miles Nadal e-mailed to dispute figures I’d been given by Deutsche Bank analyst Matt Chesler. Bogusky himself hammers home this point on his blog. The mutual admiration between Nadal and Bogusky was never in dispute–only the monetary value of that relationship. Whatever MDC’s historical financial reliance is on Crispin, the future business impact of Bogusky’s move will become clear enough in the months ahead. 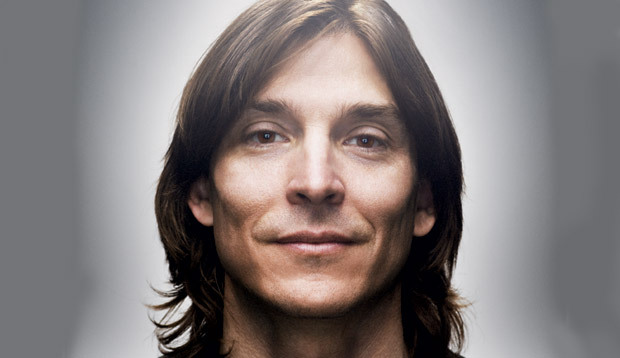 I’m writing to you after reading Danielle Sack’s online article regarding Alex Bogusky’s departure from MDC last week, “Why MDC Will Never Love an Ad Man Like it Loved Alex Bogusky”. I must say that I am both puzzled and outraged at the negative tone, and how my remarks have been blatantly misconstrued. But more importantly, I think it is important to correct some of the misinformation included in this article which is very misleading to your readers. Most significantly, Crispin Porter + Bogusky accounts for between 25 – 28% of MDC’s Revenues and Profits, not 75% as it is reported in this article. We are a public company, so please do feel free to check this number. This article is also misleading when it comes to Alex’s roles at CP+B and MDC in the past few years. Alex was an amazing creative force at CP+B and throughout the industry for many years. There is no question that his contributions were incredibly significant and helped CP+B achieve a certain level of renown and success. What I have discovered, however, is that to succeed beyond the founders, you don’t necessarily need the entrepreneur…you need to maintain the entrepreneurial culture. All you need is the next generation of brilliantly creative, overcommitted, self motivated individuals that will fight for the unique, responsive, forward thinking, exciting companies that they belong to. For the past two years, Rob Reilly and Andrew Keller, along with Jeff Benjamin, have done just that, leading the creative department at CP+B quite impressively to the next level. Since they have had the creative reigns, they have won a plethora of new business, expanded our global position, achieved incredible results for our clients including Burger King, Domino’s Pizza, and Microsoft, which you wrote about when we first got the campaign, and have continued to be recognized as the most creative shop in the world. Last week at the Cannes International Lions Advertising Festival, CP+B won both “Interactive Agency of the Year” and the Titanium Grand Prix for their “Twelpforce” campaign for Best Buy. Fast Company has also recognized Andrew, Rob, Jeff and their team, for their achievements over the past two years. This year (2010), Fast Company named CP+B “One of the Most Innovative Companies in Advertising and Marketing” in your March issue, as well as naming CP+B one of your “Innovation All-Stars”, and in 2009 CP+B was #23 on your list of “World’s Most Innovative Companies”. When Alex decided that he did not want to be involved in the Advertising agency business anymore, MDC created a special role for him. One where he was able to operate on his own schedule, spending about half his time on his own initiatives and half with MDC, where he was tasked with infusing his vision of creativity throughout the network. He did not work with clients or have anything to do with revenue. This position was based on his value as a thought leader. When he decided that his other initiatives outside the industry were of more interest to him, we understood, and let him out of his contract. My relationship with Alex has never been stronger. I have an incredible amount of respect for him and for the mission he has taken on. It is through our partnership over the past ten years that he now has the financial freedom to pursue the issues and initiatives he feels passionately about. He continues to be a huge fan of MDC, and may I point out, a significant shareholder. I am not sure why you and your writers want to create strife where there is none. It is troubling, for sure. Especially since it is not based on truth. On the day he resigned Alex wrote me this email: “Miles, I just want to reiterate how much Ana and I appreciate your friendship. You are so thoughtful and understanding. You just see me as a friend who wants to try something new and that makes you literally 1 in a million. I’ve never been more confident in MDC and the future of the agencies in the MDC family. MDC is on a roll and I’m holding onto my stock and I wish I had more! MDC Partners performance is the better than it has ever been. We continue to be the best performing media stock each and every year for the past five years, our partner companies continue to win significant business, and we have a number of thought leaders in our organization that we love with the same intensity that we have always felt for Alex. Especially Chuck Porter , Faris Yacob, , Andrew Keller, Rob Reilly , Jeff Benjamin , Lori Senecal, Barry Lowenthal, Jonah Disend, Hamilton South , Elliot Sloane , Ed Brojerdi , Steve Thibodeau , Aaron Starkman and many others , are some of the amazing talent that we attract and continue to attract. We love all of our thought leaders and all of the wonderfully talented people in our organization that have made MDC Partners , and continue to make MDC Partners “The Place Where Great Talent Lives”. Our future has never looked brighter.